Who is Victoria Hospitals Foundation? 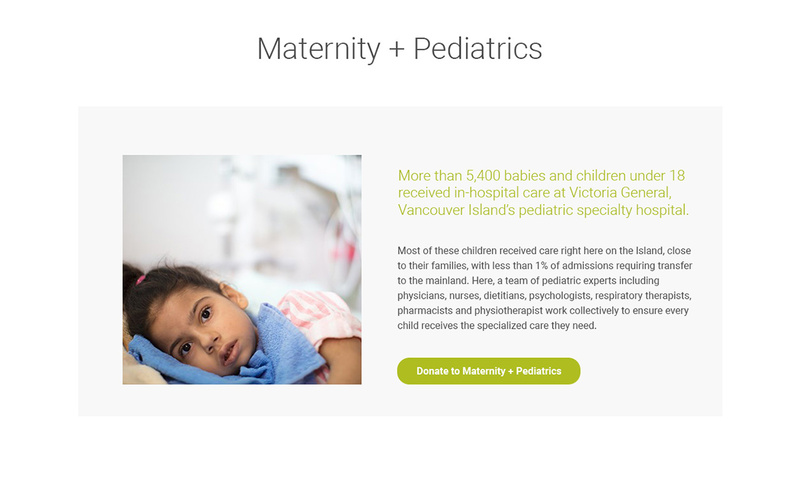 The Victoria Hospitals Foundation is a partnership with Island Health who enable donations to every area of care at Royal Jubilee, Victoria General, and Gorge Road hospitals. As Island Health’s charitable partner, they raise donations for medical equipment, special projects, education and research. 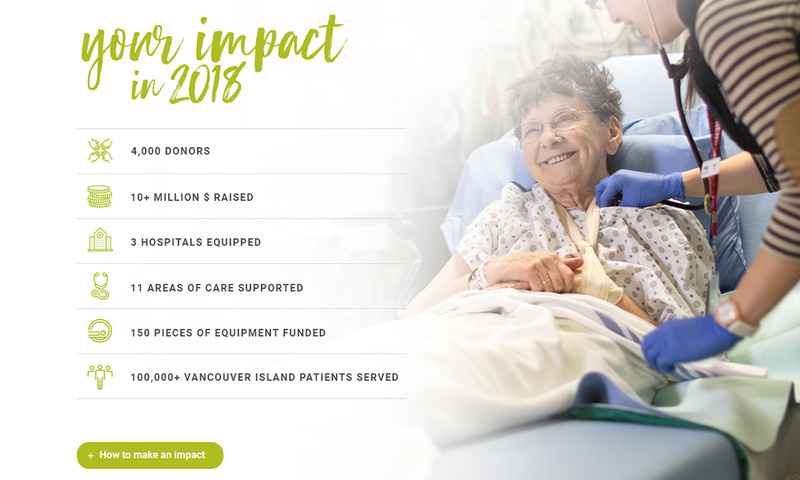 In 2017/18, they raised more than $12 million for 100+ pieces of urgently needed medical equipment and special projects that help these hospitals provide care to all 767,000 residents of Vancouver Island. 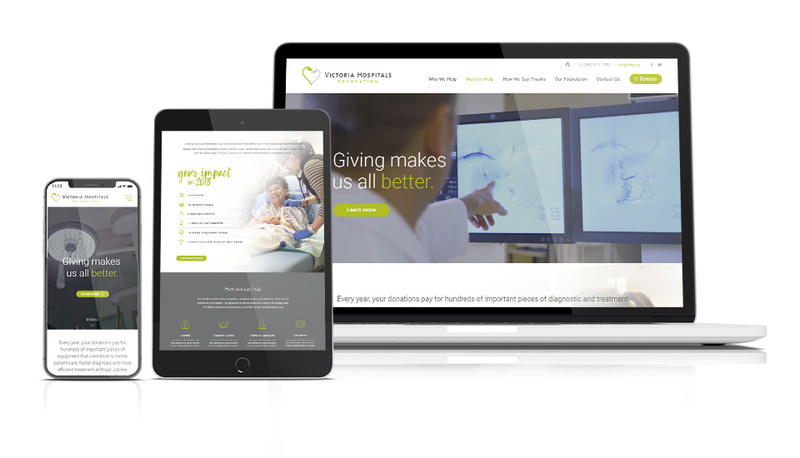 When Victoria Hospitals Foundation (VHF) approached us looking for a website redesign, we knew that we were a perfect fit. Being experienced with other non-profits such as Easter Seals BC/Y and the Greater Victoria Coalition to End Homelessness, we were excited to work with VHF to create a website that really helps them stand out. 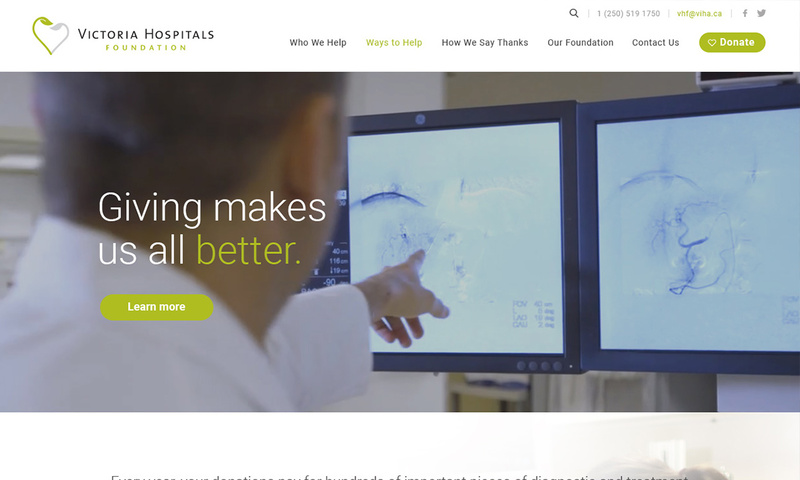 VHF came to us looking for a redesign of their old website and improvements to the site structure and navigation. With the wealth of information and the number of donation forms that they have, the website needed improvements to the user experience. The design and structure of the website needed to represent multiple areas of service, covering everything from donations, areas of care and patient stories to events, foundation information and volunteering information. Working closely with the VHF team, the Caorda team created a modern and clean custom design to highlight every area of service provided by the foundation. Every area of care page now cleanly represents the vital information and links to a donation form specific to each area of care. Donor stories and patient stories are represented as personalized posts which give users a glimpse into the effect that the services provided by VHF have on their patients and donors. Due to the large amount of content being carried over from their old website, we successfully transitioned all content and posts. As with all our website launches, we maintained the search engine history of the domain, which was a lengthy process in the case of VHF due to the large amount of existing pages and links.